Shopping for curtains isn’t easy. 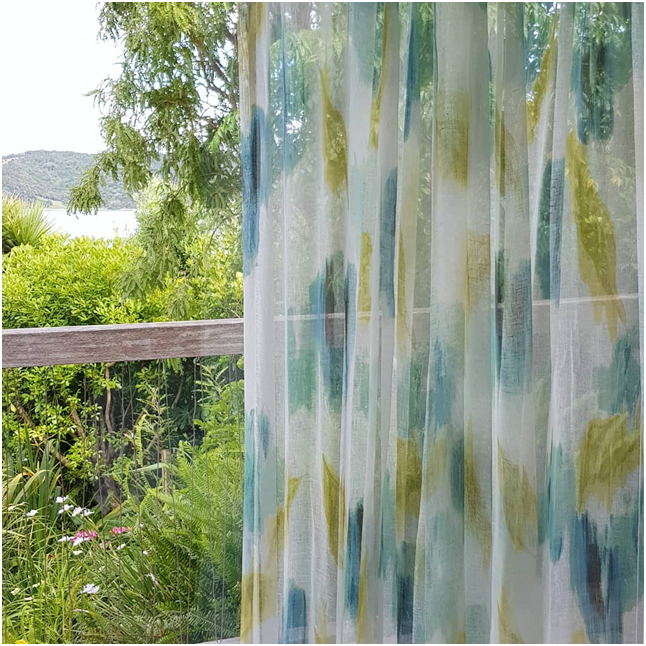 In this blog we’ll discuss all the things you may not have thought about, to make your curtain shopping experience that little bit easier. From buying the right curtain fabric, to colour and design choices that reflect your space well. This is an important factor to consider, because curtains can be designed for a huge range of purposes, and this factor has a tendency to impact everything else that there is to consider about curtains. There are many reasons you may need or want to invest in curtains in any space in your home. Take your time to think this over before you even enter your first fabric store, so that you aren’t distracted by trendy designs, and you ensure that you buy the right curtains. Potential purposes for curtains could be to block out light, in which case a heavier curtain will be more practical. If the purpose is to trap in heat during the winter, consider a heat protective curtain material. If you want to make a style statement, or create a bit more privacy while keeping the room light, consider a sheer, drape curtain. Some homes even have curtains to create room dividers, in which case you will want the design to flow seamlessly in your space. Curtains do a lot to alter the lighting of a room, and this can have a huge effect on the overall mood of the space. If the space is a communal or family space such as a living area, you should consider keeping the mood light and lively. To do this, simply refrain from using heavy materials or deep tones that may make the space more dramatic, and darker. On the other hand, in a bedroom you may consider wanting to set more of a dramatic mood, so that you create a space that is more ambient at night. Although bedrooms tend to have less window space, having large curtains can cause more drama in a room (think - romantic-comedy-style sweeping open your curtains in the morning). Once you have decided on a purpose and mood, this step can be a lot easier. The aim here is to not feel limited by the idea that all curtains are just curtains – you can get far more creative than that. Do some research – discover the endless possibilities for your curtains. The design of your fabric could be printed, textured, embossed or embroidered with whatever design you desire. The material can be anything from sheer chiffon or textured linen, to rich velvet or luxurious silk, and anything in between. Curtains are an embellishment, and the colours you choose for curtains should be treated as such. They should decorate your space and add an extra element to it or help the current design to flow. They should not be considered an afterthought to a well-designed room. Don’t be afraid to use bold colour, as playing it safe with dull tones can sometimes ruin a space. In some circumstances, they can work to enhance a dull or minimal space. This all comes into play in the design, so think carefully. What tones will bring out the subtleties in the rest of the room? Perhaps a metallic accent or jewel tone. Curtains can also play a contrasting role in an already bold space, due to the fact that they are subtle during the day while they are open, and then add drama at night. If you want to add as much light as possible then a pastel or light colour can really add an extra layer of natural light to a space. Don’t forget to measure your curtain space before you shop for curtains! Buying curtains that are too small is a similar feeling to buying pants that are too short. You wouldn’t walk around with your ankles on display unnecessarily, so why should your windows have to? Here is when you need to decide whether your curtains will drape to the floor, or just below the bottom of your windows. When measuring the width of your windows, consider how the curtains will drape. Generally, you want to buy curtains about half a metre wider than your window, because curtains are not supposed to rest tight across your window and they need room to drape nicely. Alternatively, if you want to make your space look larger a common way to do this is to buy oversized curtains that hang well above and below a window, and are about twice the width. This can make your curtains a real feature element of a room. How will your curtain fix to the wall? Do you have to consider the curtain fixture that is in your house already? If this is your first-time buying curtains and you don’t already have the fixture in place, you are at an advantage. Consider using this as another design opportunity, and do some research on different types of curtain rods and tracks that can suit the design style of your space. Let us help you design the perfect curtains for your space. We have a huge range of fabrics to choose from, and can help you through the entire process with our expert interior design Auckland team. Talk to us or shop online now!